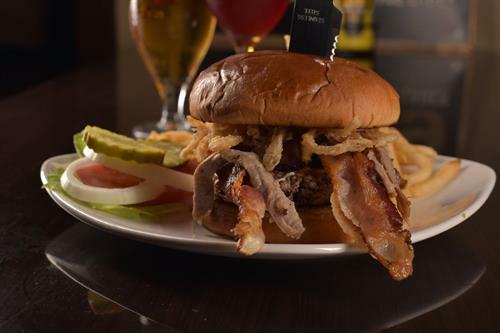 Hoppy Pig is a unique restaurant and bar in Bradley, IL. 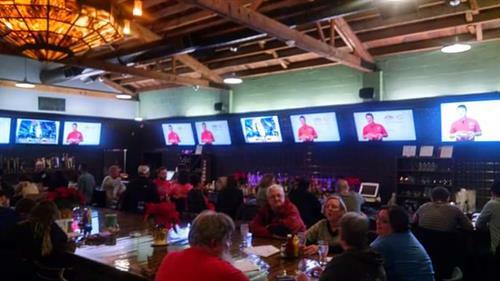 Our antique, industrial exterior opens into a one of a kind experience featuring live music, delicious food, and the area’s largest selection of craft beer and liquor. 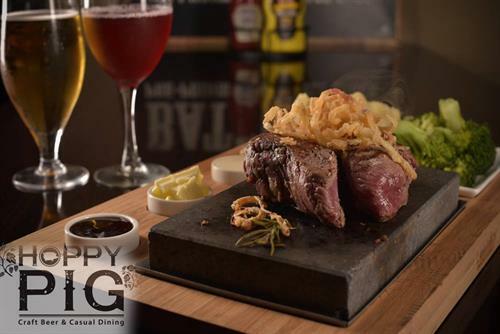 Hoppy Pig has a unique and diverse menu featuring a wide variety of smoked meats, AMAZING Mac & Cheese, and our signature “Steak on a Stone.” Hoppy Pig features 42 varieties of the finest local and national craft breweries on tap. Hoppy Pig is always featuring new and rare beers and liquors. 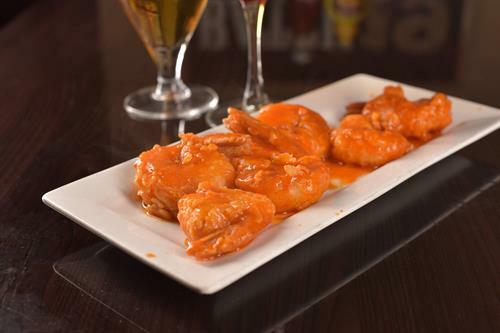 We serve the area’s largest selection of fine bourbon, whisky, and delicious wine. 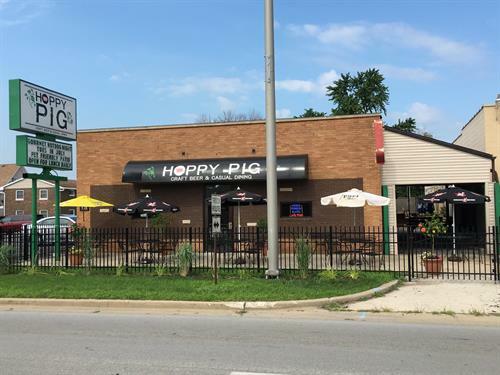 Hoppy Pig’s restaurant, private party room with all new audio & visual package and our NEW pet friendly outdoor patio are designed to give a unique experience unlike anywhere else in the Kankakee area.